The word ‘late’ has taken on a new meaning in your day-to-day life, the awkward phrase ‘late husband’ or ‘late wife’ sticking in your throat, finding its way onto your lips, invading your speech. 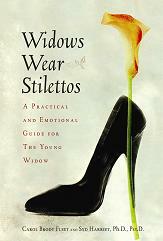 Find comfort, camaraderie even laughter in words by the widowed about widowhood. After Robert passed, I was unable to concentrate on fiction, and gave up novels for more than a year, swapping out my favorite genre for deadly reads. 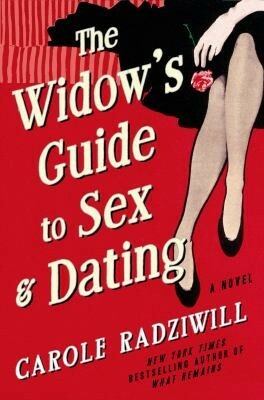 I needed to know I wasn’t alone – celebrities and nobodies, young women, handsome husbands, expectant mothers, middle-aged men – anyone can lose their partner. A once happy couple reduced to a lone survivor. It happens every day, but you don’t think about it until it happens to you. I found myself drawn to films that mirrored my widowhood, crying along with Hillary Swank each time she received a letter from her late husband in PS I Love You and empathizing with David Duchovny as he crumpled up on the floor, sobbing uncontrollably after coming home from the ER in Return To Me – a few hours ago he and his wife were dancing, then a fatal car accident robbed him of the life he knew and the wife he loved. What films worked their way into your heart? A social group on Facebook for widows and widowers on Long Island typically under age 65 to meet at local venues and events. An online support group for widowed people of all ages, men and women, married or unmarried, straight or LGBT. A Facebook site reaching widows and widowers internationally, most of whom are younger than 60, to provide support; a closed group so only members can see your posts. 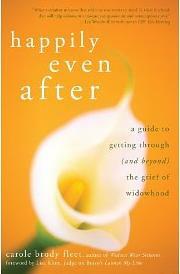 An online information and self-help resource for, and by, widows and widowers. A national network of support for anyone grieving the loss of a loved one, with an emphasis on those who have been widowed. 1) There is very little information, books or advice available for men. You are on your own. Therapy has been of little value. 2) The social support that so many women speak of is mostly absent for men. 3) Almost all our friends and even family have disappeared from my life even after reaching out to them. 4) Dating is difficult, time consuming and either an incredible disappointment or heartbreaking. 5) Heartbreak and pain is a price you pay for a great love but knowing that doesn’t make it any easier.